Obituary – Donaldson, Robert Harry « Perry High School Alumni Association, Inc.
Funeral will be at 10 a.m. Thursday at the First Presbyterian church at Stillwater for Robert H. Donaldson Sr., 65, 1816 West Arrowhead Place, Stillwater, formerly of Perry. Donaldson died Monday night at Presbyterian hospital at Oklahoma City. Rev. Barbara Sherer will officiate. Burial will be at Fairlawn cemetery at Stillwater under direction of Strode Funeral home. Born at Perry, Nov. 3, 1917, he was the son of Harry and Edith Donaldson. He was a 1934 graduate of Perry high school and graduated from Oklahoma State university in 1938 with a bachelor of science degree in commerce. While a student at OSU, Donaldson was president of the Student Association, Beta Theta Pi fraternity, the Men’s Interfraternity Council and other honorary and professional societies. He received the President’s Cup as the Outstanding Graduating Senior Man in 1938. Donaldson received a masters degree in business administration from Columbia University in New York City in 1939. He later was involved in additional studies at Harvard University with the U.S. Navy and at Temple university in Philadelphia. He and Jean D. Orr were married Aug. 31, 1941, at Stillwater. Donaldson was co-founder of the Donaldson-Manning Lumber company at Stillwater in June, 1939. He was in the lumber business 32 years before closing the Donaldson-Manning facility in 1971. He was involved in the construction of over 1,000 residences and some commercial buildings in Stillwater and developed seven residential sub-divisions. After he closed his business, Donaldson continued in land development in Stillwater and Perry, and was involved in the motel and apartment business and wheat and natural gas production. He was secretary of Donaldson and Yahn Lumber Dealers Inc. of Perry and director of the First National Bank & Trust Co. of Perry. 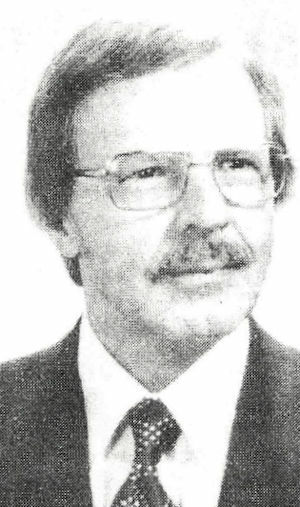 Donaldson served as president of Mid-America Lumber man’s association from 1969-70 and served as a member of the board of directors of that organization for a number of years. He was president of the Oklahoma State University Alumni association from 1970-71. He served with the United States Navy during World War II and the Korean War and was a retired commander in the U.S. Naval Reserve. He was president of the Stillwater Rotary club in 1948; president of the Stillwater chamber of commerce in 1950; served as chairman of the metropolitan area planning commission for five years in the 1960’s; was vice chairman of the Lake McMurtry Development Commission from 1970 until his death; and was chairman of the Stillwater Bicentennial Commission in 1975-76. He was co-founder of the Stillwater Art Guild in 1963 and served as president in 1966-67. He served on the board of directors of the Stillwater Art Guild since its organization. Donaldson was co-founder and first president of the Stillwater Arts and Humanities Council, serving in 1968-69 and served on the board of directors of that organization. He was instrumental in the publishing of two books by Robert Cunningham through the Arts and Humanities council and recently was elected president-elect of the council. Donaldson was co-founder of the Historical Museum of Sheerar Cultural and Heritage center and was chairman of the museum committee from 1974-81. He was a charter member of the Payne County Historical society and a member of its board of directors since its founding in 1980. He had a life-long interest in music and art, having been members of bands and orchestras in both high school and college and a member of the college glee club. Donaldson also did oil and water color painting, sculpture and cartooning and won some awards in those media. He served as chairman of the art purchase committee of Oklahoma State university and donated art works to the college. In addition to Mrs. Donaldson, survivors include one son, Robert H. Donaldson Jr., Oklahoma City; and a daughter, Willie (Judith) Baker, Stillwater; and two grandchildren.